Simply LIKE SM City North Edsa at facebook.com/smnedsa and Kata Digital at facebook.com/katadigital.com to join. Share about the giveaway on Facebook to earn more entries. 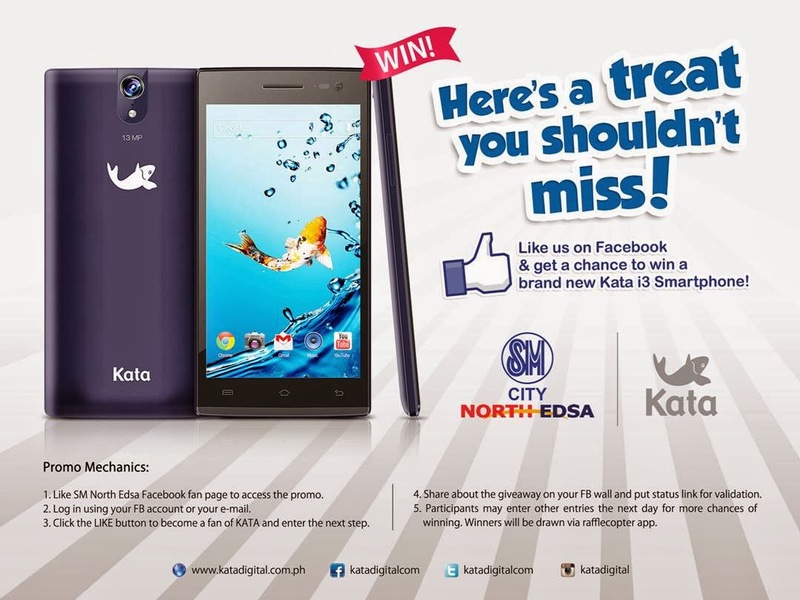 To join you may click the "Win a Kata i3" thumbnail on SM City North Edsa's FB fan page or click this link. Promo begins this February 20, 2014 until March 20, 2014! Announcement of winner will be on March 21, 2014.
oohhh...like like like! I never win in raffles hehehe but you'll never know! hehehe thanks for sharing.